In the modern day “civilized world”, sometimes life seems to come at us so fast that we hardly know what hit us or how to respond. For the tribal people in the mountains of Mindanao, life moves a lot slower, but when calamity comes for a visit, it hits them so hard that it may take years to recover. On December 4, 2012, Super Typhoon Pablo hit the tribal lands of CADT 079 in Agusan del Sur with winds of 180 kph, toppling and uprooting thousands of hectares (a hectare is equal to 2.47 acres) of trees. For the tribes of Northern Mindanao, the forests have been the center of their lives for hundreds of years, so late that rainy December evening, Datu Kalambuan - Balvino (Bhen) Andaya called us (Bryan and Marcus) to share that the Manobo, Banwaon, and Talaandig tribes were mourning the loss of much of their forest. After a few awkward moments of silence, not knowing what to say to provide comfort, we said, “Everything happens for a reason, so let’s work to turn this tragedy into a great opportunity to speed up the economic and educational development in CADT 079, which will also enable us to keep more children from being recruited by the rebels.” Instantly, that message resonated with the heart of Datu Bhen, and he went out and inspired his people with that challenge. 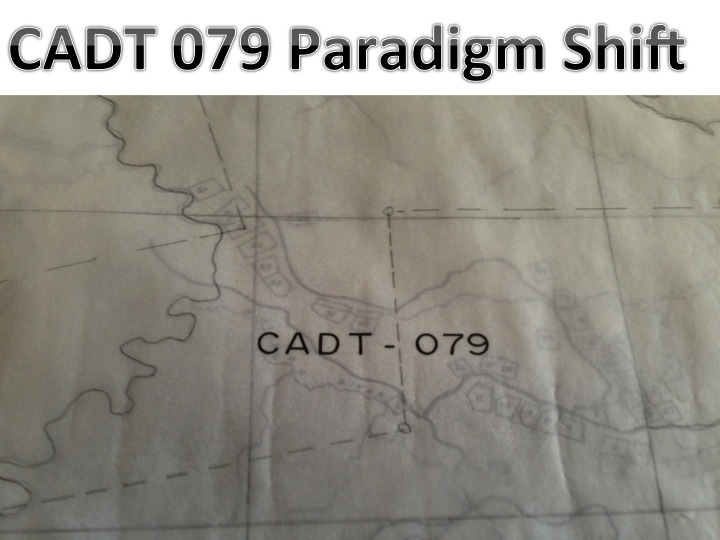 Now, you might be asking, “What is CADT 079”? The answer is rather complex but to summarize: Just like in the USA and other nations, the tribal people of the Philippines were the original inhabitants and owners of the country’s land. As “civilization” developed, companies came in and cut down their trees, dug up their gold, destroyed their rain forest and left the people in dire straits. This treatment caused rebel groups to rise up in resistance, and created deep tensions for the past five decades in Mindanao. During the term of President Ramos, he signed The IPRA Law – Indigenous People’s Rights Act of 1997. This act allowed the tribes of the Philippines to file for ownership of their land. When the land is approved by the NCIP – National Counsel for Indigenous Peoples, the land is turned into a CADT – Certificate of Ancestral Domains Title and given a number … hence, CADT 079 in Agusan del Sur, Mindanao, an area of 68,000 hectares that we hope to expand for the Manobo, Banwaon, and TalaAndig tribes. CADT 079 is also filled with rebels, 70% of whom are children, so Just Projects International is focused here on developing economic and education projects to keep more children from being recruited by the rebels and to provide freedom and a future for those who have already been recruited. Up until this present time, JPI’s Project: AK-47 has been raising funds to build schools for these children in CADT 079, to purchase books, and pay the salaries of the teachers. We have also been working to develop plans to utilize the natural resources to provide sustainable economic development that will empower the people of CADT 079 to continue to build schools and pay for their teachers in the future without funds coming from outside their CADT. Through our Project: AK-47, we hope to see a child-soldier free CADT 079. This development process is slow and difficult, and we didn’t expect to be producing funds from within the CADT for another year. However, when divine winds hit the CADT, uprooting thousands of hectares of trees, we realized that we had to turn this Wood Recovery into financial income that could build more schools, roads, and medical clinics (as there are none here), and to invest in other agricultural projects on the CADT that will provide future sustainable economic growth. It is also vital that these trees on the ground be cut up and cleared to prevent forest fires, and to allow us to work with the DENR – Department of Energy & Natural Resources to replant and fill up the forest again. 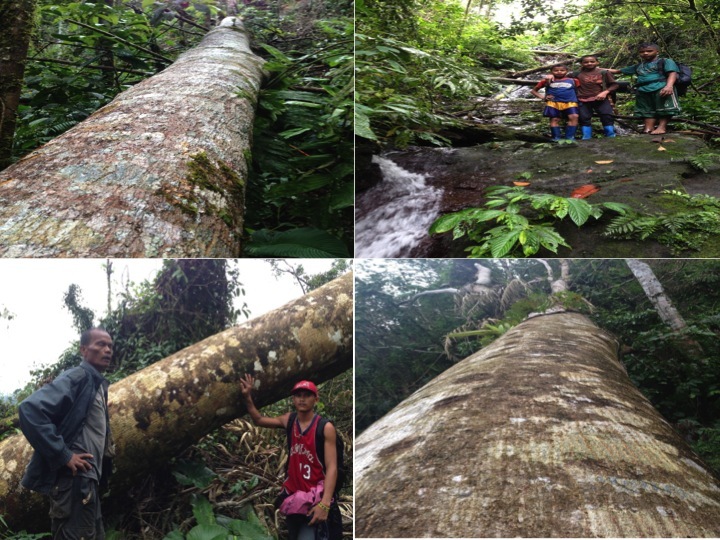 The laws regarding logging and natural resources in Mindanao are complex due to severe past abuses by many companies and politicians. Therefore, we have been working for three months to move forward with this project that has the potential to jump-start the economic and educational development on CADT 079 by providing the capital funds for many startup projects and for the building of schools, roads, and medical clinics. This could be a game-changer in the history of these tribes. Stay tuned for future reports as to government approval and future progress. Thanks for joining us on the wild ride of this journey in the mountains of Mindanao.